WE Lead Scholars had dinner with Mrs. Laura Bush and members of the Bush Institute’s Women’s Initiative Policy Advisory Council. They discussed the importance of women’s leadership around the world. 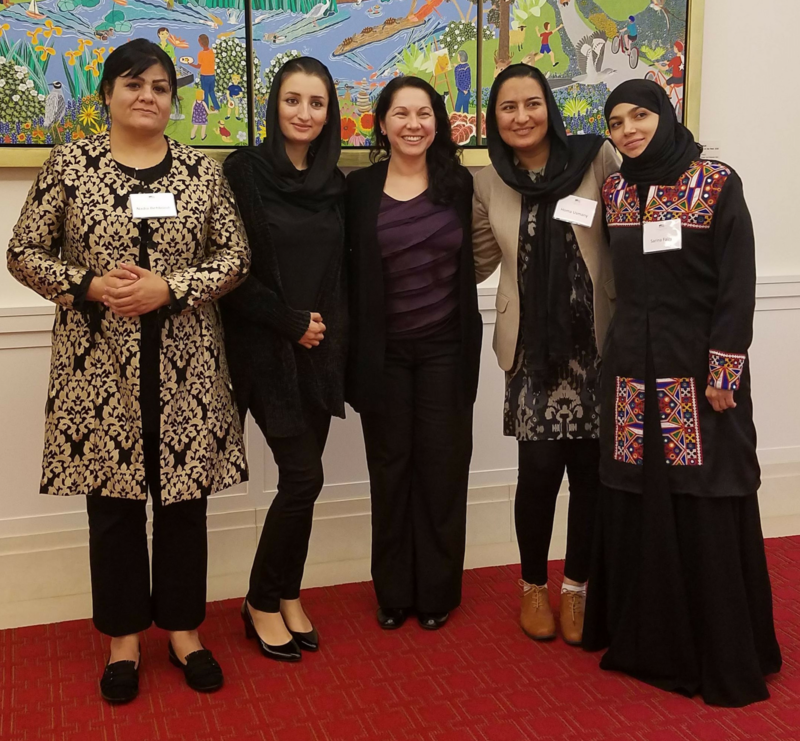 Over the past two weeks, 19 scholars from Afghanistan, Egypt, Jordan, Lebanon, and Tunisia participated in the Bush Institute’s WE Lead program to enhance their leadership skills and their ability to advance economic opportunity in their communities and countries. The following are highlights from Module 1. 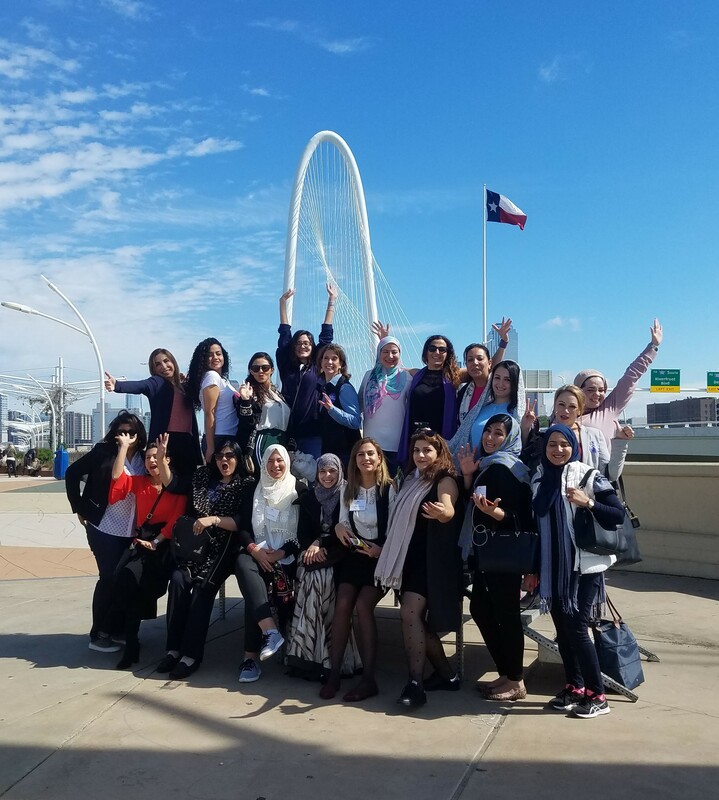 The WE Lead scholars have had an action-packed stay in Dallas. Many already say they have formed lifelong bonds with their fellow scholars and are ready and prepared to implement their newly-acquired skills into their jobs and personal leadership projects back home. Afghan WE Lead scholars meet Afghan VLP scholar Lyla Kohistany. VLP Scholars Bart LaMont and Ryan Manion also participated in the VLP panel. Their first classroom session focused what it means to be powerful, subconscious beliefs about power across gender lines, and the ways we can ‘access’ our personal power. 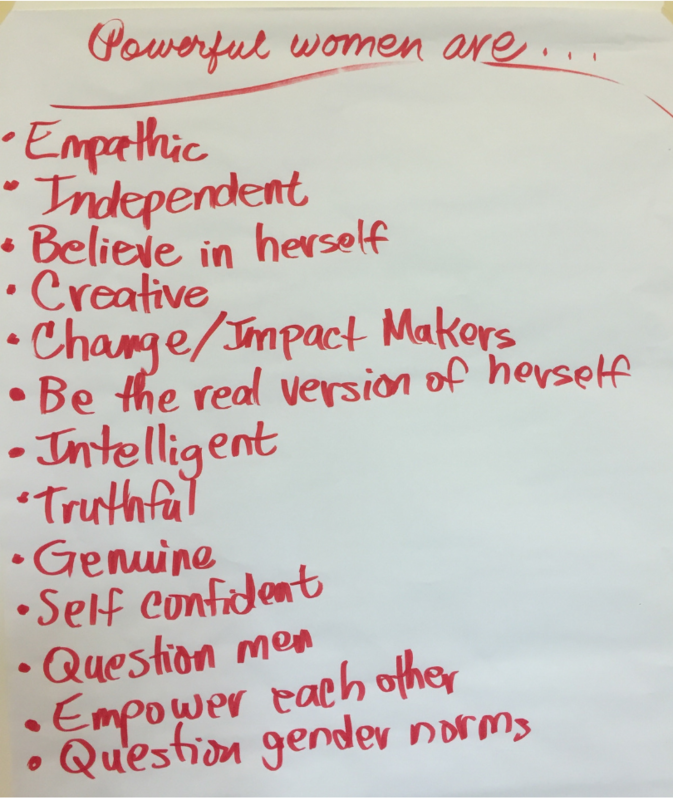 For one of the exercises, scholars listed the characteristics associated with powerful women, powerful men, powerless women, and powerless men. PLS alumni Tina Tran, Asha Varghese, and Antoinette Balta share their experiences as immigrants and refugees coming to the U.S. and their leadership in social impact work. Throughout the module, scholars met graduates of other Bush Institute leadership programs, including the Stand-To Veteran Leadership Program and Presidential Leadership Scholars. VLP Scholars provided insight on making the most of Bush Institute opportunities and personal leadership projects. PLS Scholars shared their leadership experiences related to social impact work. 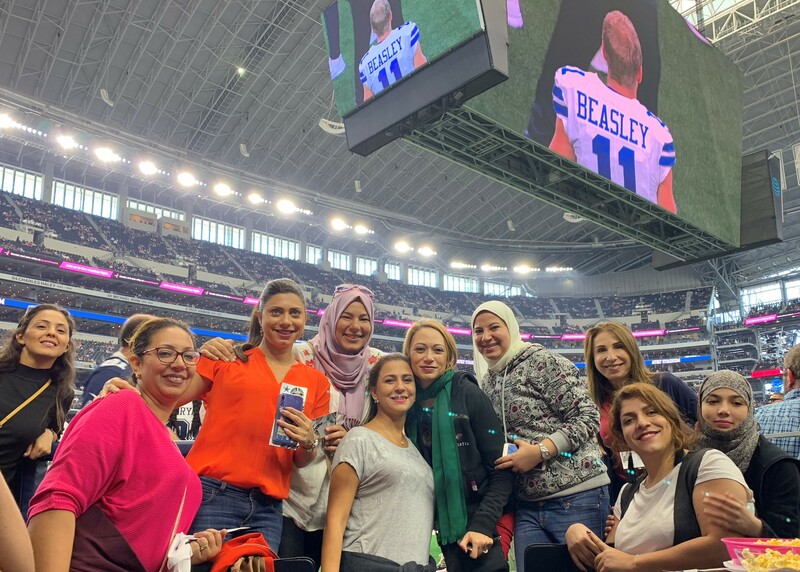 Their first weekend here, the scholars attended the Dallas Cowboys vs. Jacksonville Jaguars game at AT&T Stadium. In addition to entertainment and exposure to a new aspect of American culture, the experience sought to demonstrate the business of professional sports. Scholars broke into five teams and made a three-course Tex-Mex dinner. They also participated in Teambuilding with Taste, a Chopped-like competition that fosters collaboration and trust. The following week, visits around town included SMU’s Hunt Institute for Engineering and Humanity, which develops sustainable technologies that improve the standard of living for the world’s poor, and Akola Project, a nonprofit jewelry brand that creates work opportunities for women in poverty. Akola jewelry makers worked with scholars to create their own bracelets. During their final week in Dallas, scholars sat down with President and Mrs. Bush for a Q&A session. The scholars discussed the challenges facing their countries while hearing advice, insight, and inspiration from the President and First Lady. 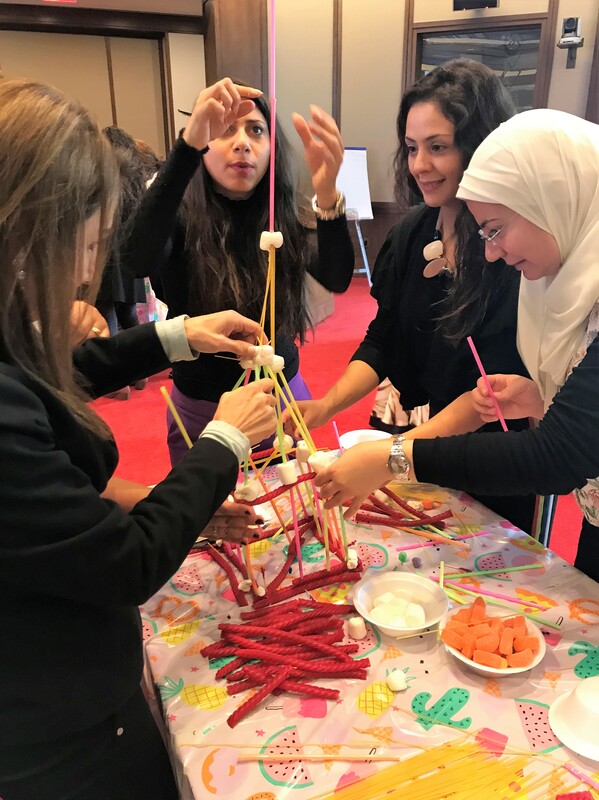 One of the final class sessions, titled Leading Effective Teams, required scholars to break into teams and build towers with marshmallows, straws, Twizzlers, and raw pasta. They learned the importance of adjusting their strategies on-the-go and the effectiveness of incorporating fun into team-building. 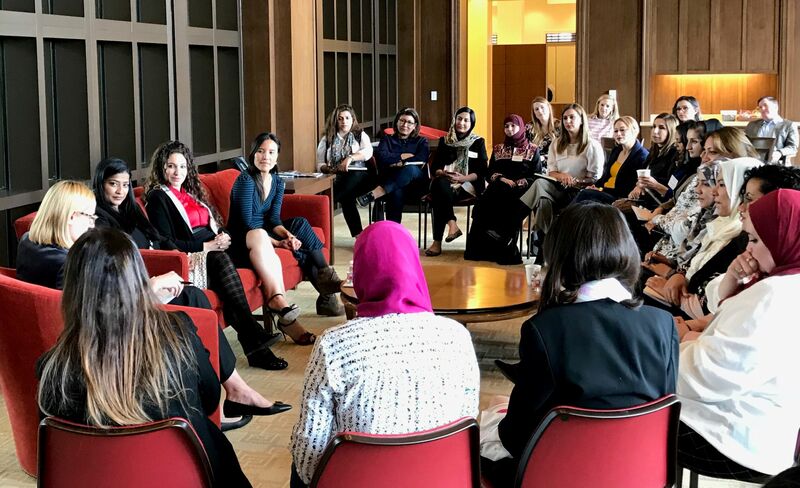 Remaining highlights include a dinner “speed-networking” session with former Women’s Initiative Fellowship mentors, and scholars will join staff for the Bush Center Halloween Party. Scholars will return home on Saturday to put their newly-acquired skills into action and to continue honing their Personal Leadership Projects. Module 2 will take place via online training, and the scholars will return to the U.S. in March to visit New York, Washington, D.C., and finally Dallas for graduation.